Running out of battery power can be really annoying when you need vaping the most! This is why a dry herb vaporizer that allows vaping while charging is the way to go. Even more annoying than running low on battery power is herbal waste because of combustion. So, is there a vaporizer in the market that solves these problems? The answer is yes, it's called the Vie Vaporizer! 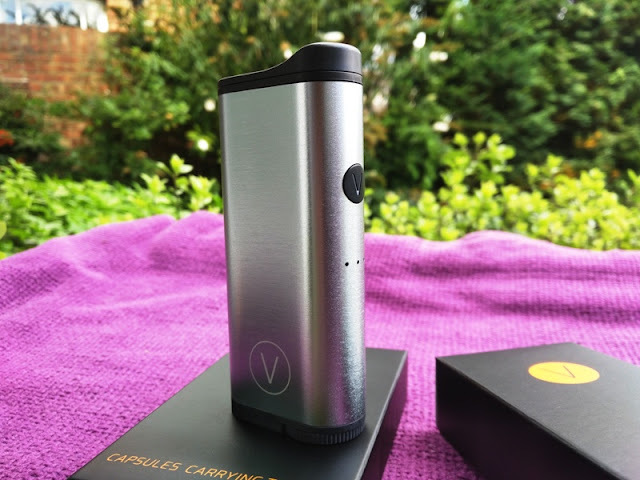 The Vie Vaporizer not only features a pass-through electronic fuse but also a disposable herbal capsule system that prevents brownish build up and herbal waste by allowing to pre-pack each capsule and take them with you in a neat capsule carrying tube. 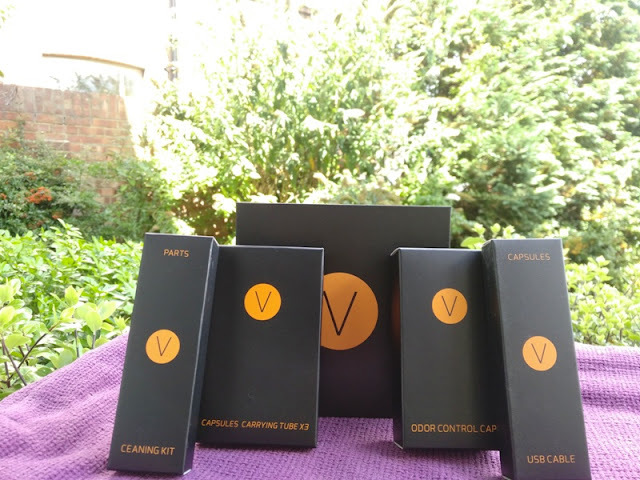 The other problem the Vie vaporizer solves is the elimination of combustion by using a boiling heating system (instead of a coil system) to create vapor from concentrates. 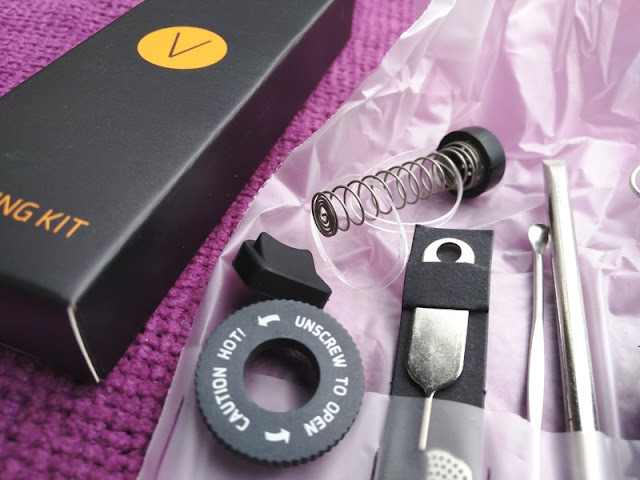 What makes Vie different to most vaporizers is that it uses a conduction heating system with a convection element. Vie heats the herbs through heat transfer while the convection element prevents the chamber temperature from increasing drastically to prevent combustion. 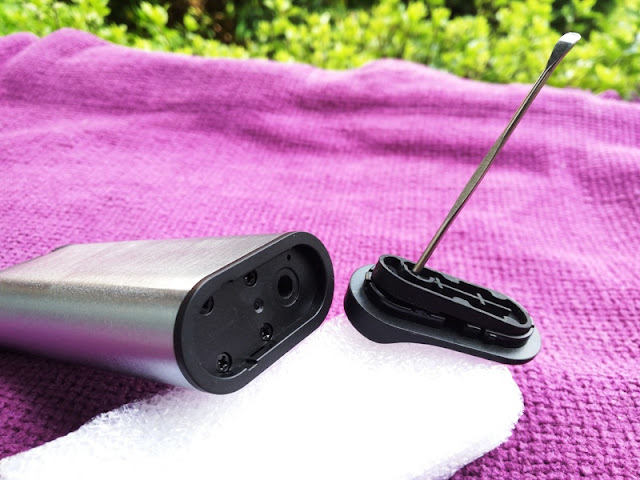 The mouthpiece of the Vie vaporizer is also designed differently to most vaporizers as it features a fully sealed maze-like airpath (instead of a straight airpath from the heating chamber to the mouthpiece), as well as a pick tool that prevents the mouth piece from getting too hot by cooling down the temperature of the vapor so you can take a draw for longer than 3 seconds. The pick tool inside the mouthpiece doubles as the mouthpiece cooling feature and a handy packing tool that you can store away. With that said, you can remove the picking tool should you need the temperature of the vapor to be hotter. 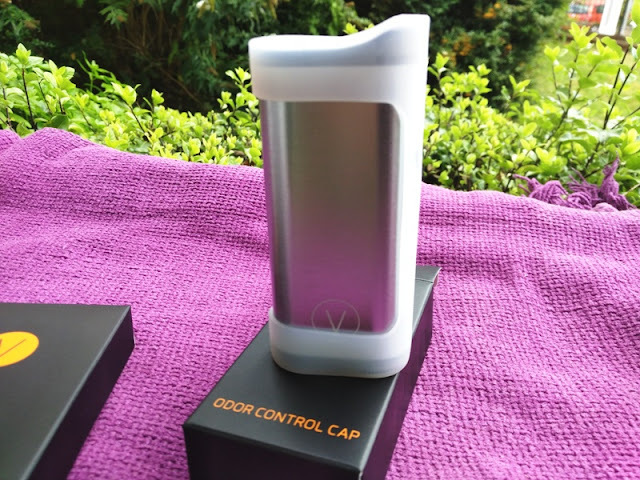 As far as functionality, the Vie Vaporizer features a multifunctional button with LED (V button) and three small LEDs on the front of the unit and small button on the bottom of the unit to control the temperature of the chamber. The V button powers on and off the Vie by simultaneous presses. Triple press the V button consecutively to turn on the Vie and triple press the V button again to turn it off. The V button LED can show red, green or blue to indicate three different modes: capsule mode (red V button), direct chamber mode (blue V button) and concentrate mode (purple V button). When using direct load mode, you need to drop a screen (you get four screens included with the Vie). To select each mode, press the temperature button and then the V button to select a mode. The blinking red light means the device is heating up. Steady green means it is ready to use. Steady red or blue light means the device is in standby mode and this will turn the device off automatically in three minutes. The herb chamber of the Vie Vaporizer is located on the bottom of the unit. 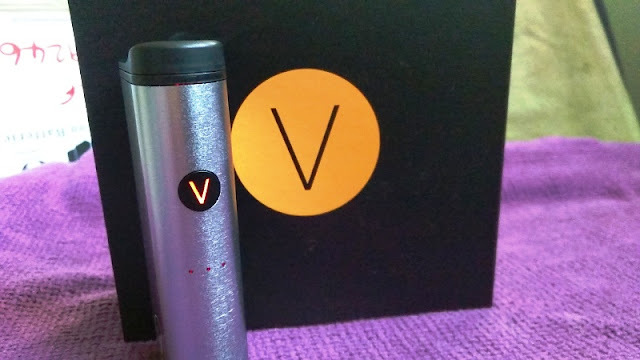 The Vie vape fully charges in around 2 hours when using a 1 amp charger. The battery can take a higher amperage so a 2 amp draw charges the Vie in less than 2 hours. The Battery LED indicator can show green LED= 100%-50%, Orange= 50%-20%, Red= 20%-5% and Blinking red= less than 5%. To access the chamber, simply unscrew the lid to reveal the chamber where you can directly insert dry herb or a pre-loaded herb capsule or a concentrate capsule. The micro USB port, temperature indicator and charging LED are also located on the bottom of the Vie. As mentioned earlier, the Vie has three modes which include capsule mode (red V button), direct chamber mode (blue V button) and concentrate mode (purple V button). 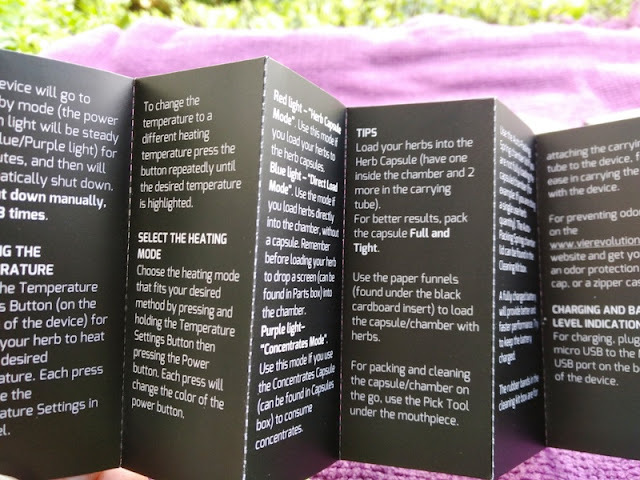 During each mode, you can regulate the temperature from four settings (low, medium-low, medium-high and high). 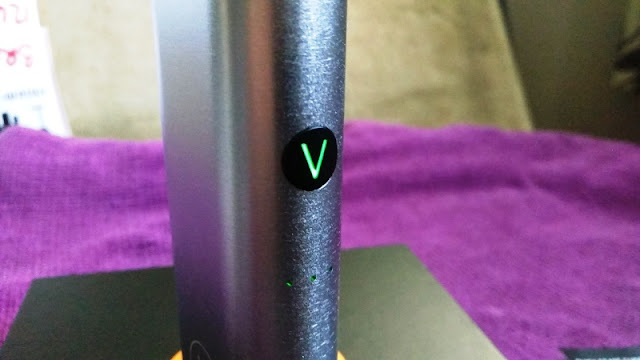 The Vie vape also has a safety feature for when you forget to turn it off manually that puts the Vie on standby mode where the Vie automatically shuts itself off after 3 minutes of inactivity. The airflow in the Vie vaporizer is pretty good without too much restriction so drawing feels smooth and not like drawing maple syrup through a straw. 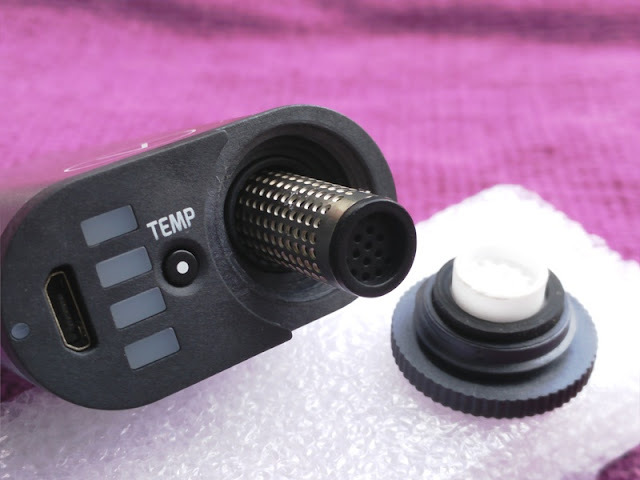 The flavor of the herb and vapor seems very notable even at the lowest temperature setting. You can draw around 150 regular draws from one single battery charge. 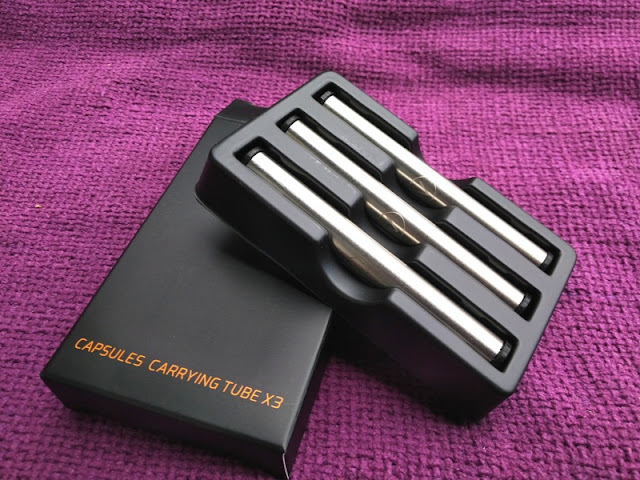 A fully loaded capsule can get you around 30 draws, depending on how big you puff. 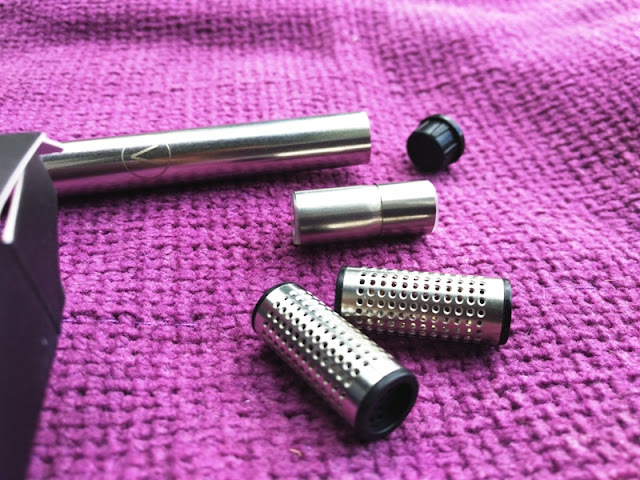 Cleaning the Vie is also pretty easy as the chamber is just a straight stainless steel tube so it's just a matter of unscrewing the bottom lid and sticking a tube brush, which you can use to also clean the capsules. As part of the Vie cleaning kit, you also get an extra long pick tool to tack the screen to the bottom. To remove the screen, open the mouthpiece and stick the pick tool through the airpath tube to push the screen out. The thinnest tube brush is designed for cleaning the airpath. 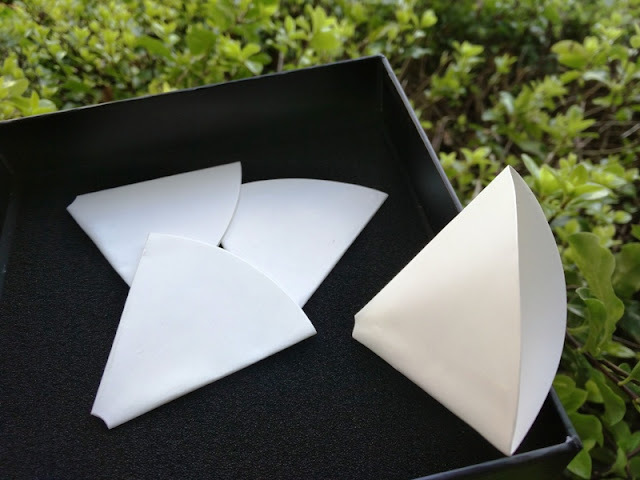 In the cleaning kit, you also find a SIM card tray tool that you use to clean the holes of the white ceramic screen in the chamber lid. To load concentrates, you need to use the concentrate capsule and a pick tool. Open the capsule and use the pick to put the concentrate inside the half cap of the capsule. Then, place the other half back on the capsule, and insert it into the chamber, cap first. The concentrate capsule keeps the product from spilling and leaking out, preventing combustion of your concentrates. 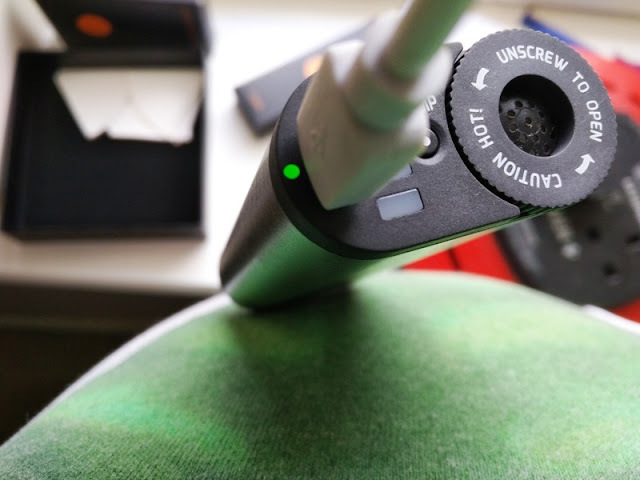 As mentioned earlier, the Vie dry herb vape has a built-in USB rechargeable battery with safe passthrough charging feature that allows vaping while charging the battery. Safe passthrough means the battery can charge and discharge power safely at the same time. 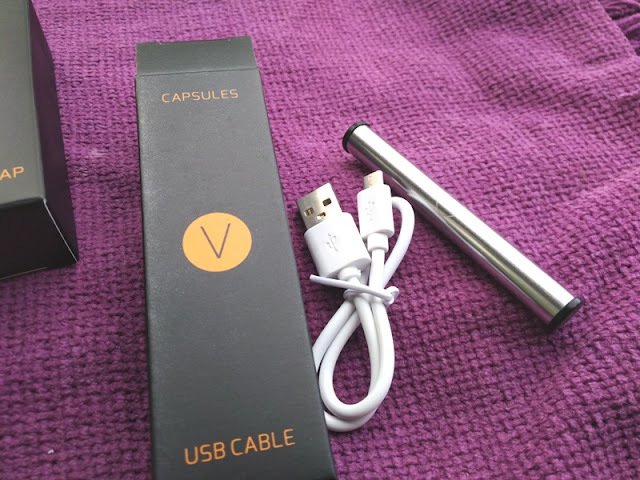 Because the Vie vaporizer is USB-run, it doesn't require to be recharged initially before vaping which is pretty convenient especially when you forget to charge your vaporizer. Even with low power, the Vie Vaporizer is readily available. Simply plug it in and it's ready to use.